As a member of Cobb County’s “Platinum Triangle,” Vinings is known for its rich culinary scene, beautiful homes and top-tier school systems. 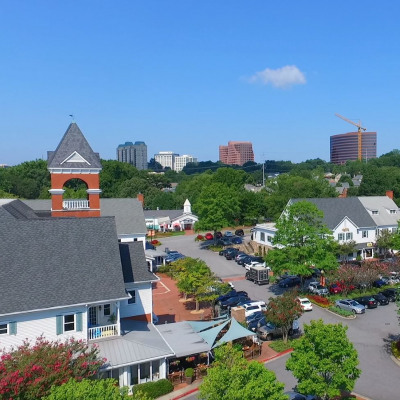 The community is located between Buckhead and Smyrna and is home to many major commercial developments, including The Home Depot headquarters. Originally known as Cross and later Paces, Vinings was named after principal architect William H. Vinings on account of his role in constructing the community’s railroad. Although Vinings remains unincorporated, it was officially recognized as a community in 1904. In 1993, the Vinings Historic Preservation Society was established to educate locals and visitors on the community’s origins and architecture. Shop, dine and enjoy a day of leisure at Vining’s family-owned town center, Vinings Jubilee. The center was constructed in 1985 to reflect the style of the community’s beloved historic homes.